Reefview is an original retro Riverton bach that very comfortably sleeps nine people in two double/queen bedrooms, one single and a bunk room for the extras or the kids. 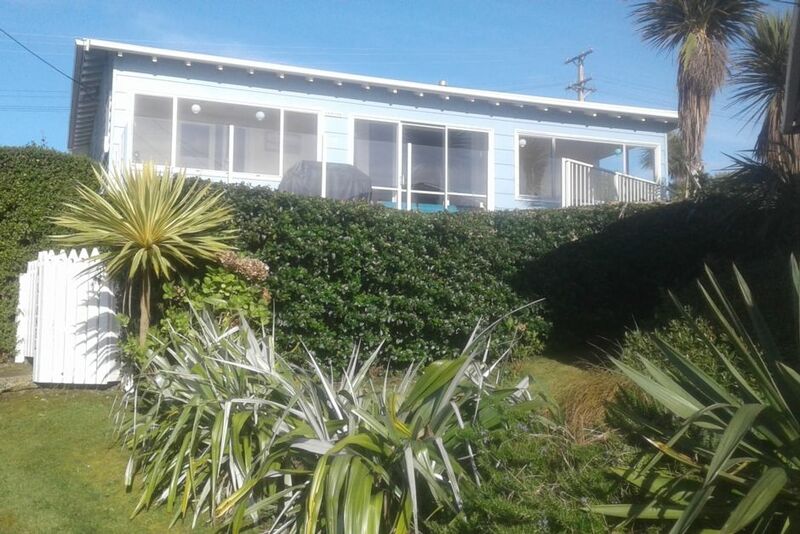 With a large sunny deck, two separate living areas, and plenty of seating, you can curl up with a good book in the light-filled sun porch, play some good old retro board games with family, or meander on down to the beach to collect mussels from the famous Riverton Rocks. Riverton is a fabulous place to just chill and relax, and our bach is only a short walk (two blocks) to the Beach House Cafe for lunch or dinner. Or, if you're feeling more energetic, how about exploring the many coastal attractions the Riverton area has on offer? Monkey Island, historic Howell's Point, Gemstone Beach, or Colac Bay are all within cooee of our bach. Our sandy beach is well-known for being safe for children, and is popular with surfers as well. If you have an outside pet, please enquire. Smoking outside only. Parking available for a boat. The pics say it all - its that close! We enjoyed our Riverton holiday. The bach was well set up, we especially enjoyed the board games in the evenings. Relaxed and practical property with great sea views. Kids like the bunk room. Enjoyed a few games of trivial persuit. Can collect mussels from rocks below the property too.